Strikers link arms on their way to city hall. From the Kheel Center, image in the public domain. IN THE LAST MONTH, Jewish activists in New York City have raced to JFK Airport to support children separated from their families, marched across the Brooklyn Bridge to demand an end to ICE, and filled Foley Square to stand with Muslim neighbors against the travel ban. Through years of grassroots organizing, it’s become clear that transforming what seems possible in New York requires us to elect more progressive champions to office. So this past week, members of Jews for Racial and Economic Justice launched a new electoral front in our resistance: The Jewish Vote. We recognize what is happening now. We see our own immigrant stories in ICE raids, our families’ losses in the concentration camps on the borders, and hear frightening echoes of Nazi violence when President Trump compares immigrants to “infestations.” We see the Red Scare in antisemitic attacks and anti-boycott bills. In every targeted Black Lives Matter protester, water protector, and Muslim community member, we can imagine our grandfathers dragged out of Sen. Joseph McCarthy and Roy Cohn’s hearing room. In the wake of the 2016 election, we turned to each other with rage and determination and chanted, “We’re Ready Already”—part promise and part reminder. From the pledge that tied Clara Lemlich to her immigrant fellow workers in 1909 to our organizing today, the future we work for depends on Jews forging deep and lasting ties with our partners in struggle. We anchor ourselves in doikayt—“hereness” in the Yiddish of my radical forebearers—and commit to building justice where we are. More is demanded of our hereness now. For more than 25 years, members of Jews for Racial and Economic Justice (JFREJ) have organized to protect the rights of workers, expand the social safety net, hold the police accountable, and combat racism, Islamophobia, and antisemitism. Bringing together secular and observant Jews; Jews of Color and white Jews; queer, gay, trans, bi and straight Jews; trans and cis Jews; Mizrahi, Sephardi and Ashkenazi Jews, we have taken action in the street, in our communities, in shuls and homes and workplaces, and in the halls of Albany and City Hall. In coalition with our partners, our grassroots organizing has yielded significant victories. Years of organizing by domestic workers, healthcare workers and their union, home-based employers, and recipients of care yielded the first ever Domestic Workers Bill of Rights. We won common-sense rules to protect Black and brown neighbors from racist and unconstitutional policing in New York City fighting alongside partners with Communities United for Police Reform. 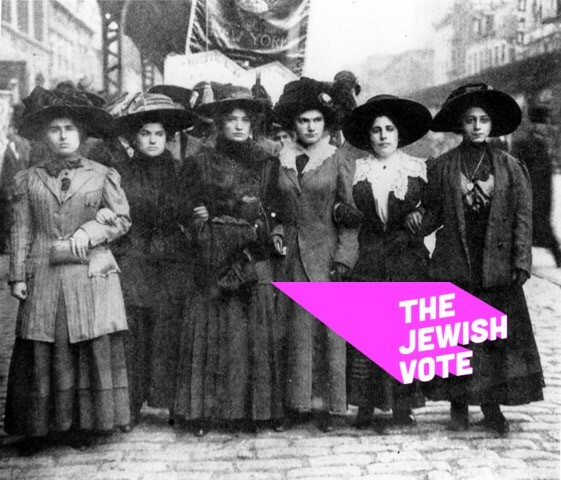 Through our decades of organizing, the Jewish left in New York has largely stayed out of elections. We’ve left that muddy turf to others, and they have filled it: with free junkets to Israel, with the pass given to yeshivas that don’t teach, and with knee-jerk condemnation of boycott and peaceful protest. Meanwhile, on one after another of our core issues, we face officials that serve developers and finance capital, and who claim democratic values while playing power games with New Yorkers’ lives. Progressive legislation that would protect immigrants and women and expand the right to vote received lip-service in press releases and excuses afterward. It’s time for us to claim our voice as progressive Jews. Taking these fights to the next level requires real power in Albany. Our city is filled with bubbes and zaydes, elders, and disabled neighbors who need comprehensive long-term care funding to stay in their homes, and care-workers who need living wages and protection. But bills that would move New York towards real universal healthcare stay blocked in Albany. Even basic demands for data and transparent records on policing are multi-year fights. Without champions in the state capital, all our needs get traded away behind closed doors. We need new people in those rooms, leaders who know that the STAT Act and repealing police secrecy laws are barely the start of what it will take to dismantle mass incarceration, abolish ICE, and end oppressive policing. We need elected officials who are committed to a budget that demands billions from corporations and the wealthy so that we can have care and transit and schools, rather than the slivers and favors that we see every year. We need to find those champions, back them in taking on established incumbents, and dedicate ourselves to making sure they win their elections—and all the fights that follow. Across New York and the country, we are seeing women, young organizers, and people of color (frequently individuals who are all three) run for office and struggle to grab power from the gatekeepers of wealth and white supremacy. They’re showing us the way: harnessing every tool to confront the violence of a proto-authoritarian administration, sticking to the principles of the world we’re trying to build, and doing so in inspiring and creative ways. The Jewish Vote will stand with candidates who support our values. We’ll be working with organizing candidates who are committed to co-governance with activists from directly impacted communities. The Jewish Vote launches by focusing on a few key state races. We have the chance in the coming weeks to knock on doors and talk to thousands of Jewish New Yorkers about how our choices in September and November can move us closer to universal care, to real housing protection, to community safety without racist policing, to true sanctuary for our immigrant city, and to an organized Jewish community that joins with our neighbors. The Jewish Vote is a new piece of our hereness and a way of being home. We are here. Join us. Katie Unger is a fourth-generation radical NY Jewish organizer and a founding Steering Committee member of The Jewish Vote.